The Greensburg Community Development Corporation understands the fundamental elements of commercial development projects: return on investment (ROI) and risk. The GCDC helps developers and investors locate an opportunity to make money, complete a project with minimal barriers, and reduce the level of investment risk to an acceptable point. Read on to learn more about Greensburg developer opportunities available to you. Several drivers influence development opportunities within the City of Greensburg: cultural district visitors, daytime workforce, vehicle traffic, resident population, and undergraduate and graduate student enrollment. The Palace Theatre and the Westmoreland Museum of American Art alone attract approximately 55,000 people to the downtown. The universities bookending the City – Seton Hill University and the University of Pittsburgh at Greensburg – have a combined enrollment of nearly 4,000 students. Thousands of vehicles from the surrounding townships travel through the downtown daily. 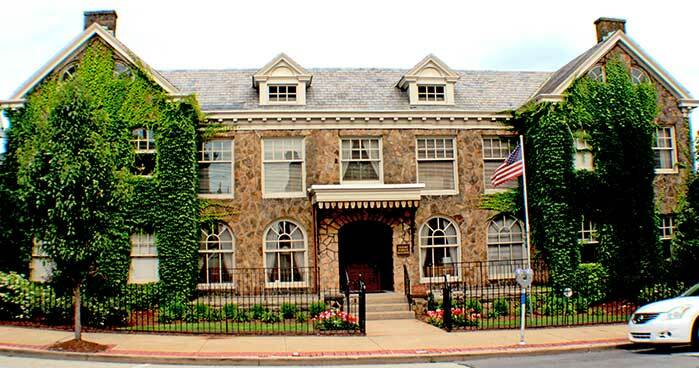 According to the Pennsylvania Department of Labor and Industry, downtown Greensburg is home to two of the top five largest employers in Westmoreland County – the Westmoreland County Courthouse and Excela Health Westmoreland Hospital. Investors and entrepreneurs are putting together projects to capitalize on these market forces. Synergy analyzed development sites relative to market conditions, current use and property condition, zoning, and the stated goals of the City. Detailed financial, engineering, regulatory, and environmental analyses are needed for each site in order to determine the ultimate feasibility of any given use or new development. In the spring of 2017, the City of Greensburg and the Greensburg Community Development Corporation (GCDC) hired Tripp Umbach to conduct an updated feasibility and market study for a potential hotel in downtown Greensburg. A downtown hotel has been in the City of Greensburg’s Strategic Plan since 2005. This study proves that we finally have the market due to our cultural assets, our increased tourism, and the younger population that is now living in our downtown. The City of Greensburg is following the national trend of people wanting to live, work and play in an urban core. To read more about the feasibility study, click here. The GCDC understands that the long-term success of certain commercial tenants and commercial development projects is based on market forces. We monitor our local market and will help you to minimize project risk and maximize the ROI. Are you a developer or investor that would like to Think Greensburg? Contact us at 724-689-0040 or gcdc@thinkgreensburg.com.